Principal Cast : Ryan Reynolds. Synopsis: US truck driver Paul Conroy wakes up inside a wooden box, buried somewhere and with only a mobile phone to communicate with the outside world. He doesn’t know where he is, he doesn’t know why he’s been buried, and with his oxygen running out, he must use all his ingenuity to escape. 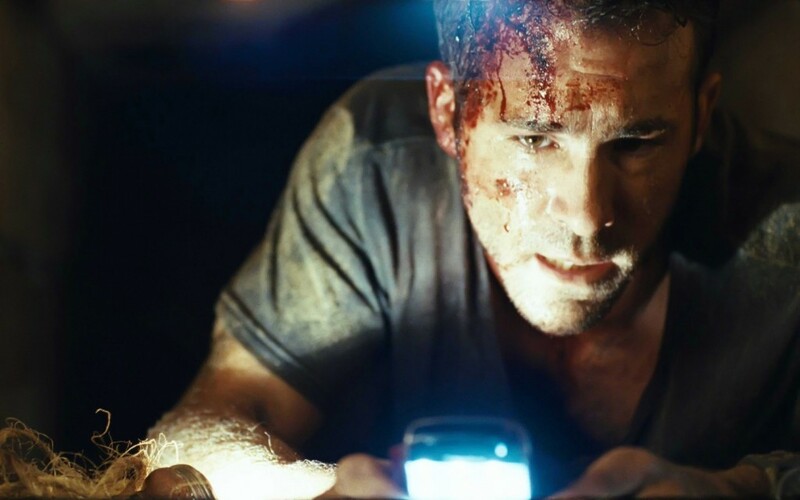 What we think : Terrifically suspenseful thriller, with a tour de force performance from Ryan Reynolds, Buried is a superb thrill ride with all the twists and turns a modern Hollywood blockbuster should have (but often doesn’t) and deserves a wider audience than it got in cinemas. Pick this up on DVD or BluRay and give it a try – it’s not a horror film as the front cover might suggest, it’s a thriller in the truest sense of the word, and you’ll find plenty of times throughout the film where you’ll actually be holding your breath. It’s become something of a standard Hollywood cliche to compare any kind of “conceit” film – that is, a film with a single idea as its central conceit, such as Phone Booth, Cellular or Buried, in which characters must stay within or around the confines of a central key object or element – with anything ever touched by the hands of Alfred Hitchcock. Comparisons with Hitchcock are beginning to become passe, a kind of advertising shorthand to say “man, this is the kind of film you’ll enjoy if you loved Psycho, The Birds, Rope, or any of the other films the British master put out before he died”, without actually saying it. I myself, even here on these very pages, have been known to use such a cliche, and I apologise if it seems so much an overused phrase to cajole you into watching something you might not have otherwise seen. That being said, Buried is a film Hitchcock would have loved to make. The premise is astonishingly simple, the story a gut-wrenching ride of emotions and despair, and the execution is absolutely first class. The idea of watching one actor stuck in a box for 90 minutes may seem like an exercise in frustration, but surprisingly, Buried is far from a disappointment or a chore – it’s quite the opposite. This is heart-pounding cinema at its finest, and among the very best thrillers of its type ever made. 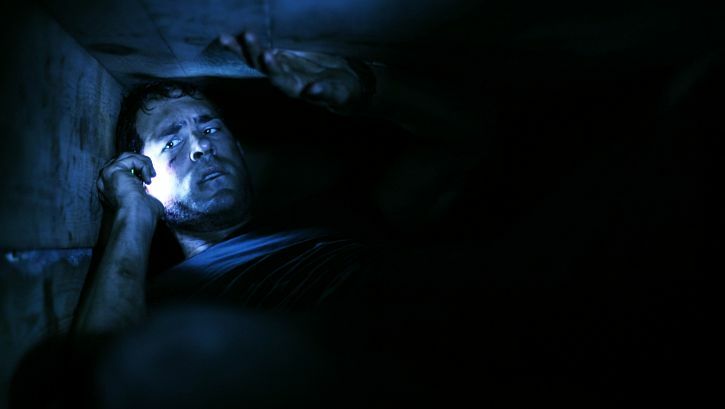 Paul Conroy (Ryan Reynolds) wakes up in the dark, alone and injured – his hands find a Zippo lighter, and he flicks it on, only to discover that he’s trapped inside a wooden coffin, buried below the Earth in a location he knows not where. His only accoutrement are the lighter, a mobile phone, a torch, a knife and some glo-sticks. With a limited air supply, Conroy makes call after call, each with increasing frustration as people not only disbelieve his story, but those who do seem painfully slow at getting him any assistance. Those who kidnapped and buried him also call, demanding a ransom payment, something Conroy cannot afford but desperately requires. With his world (literally) caving in around him, and facing impossible odds to escape, Conroy must push himself past the brink of exhaustion in a desperate attempt to save not only himself, but those he loves before they too come to harm. Prior to watching Buried, I could have quite easily gone the rest of my life without seeing Ryan Reynolds in another film, to be honest. Not that I hated him or anything, far from it. I just never considered him to be an actor of any significance or input within the medium of film – and I stand corrected. Buried is Reynolds’ breakout film, the film which will see him in demand from not only the action-movie hierarchy but the serious dramatic types seeking a hitherto underwhelming talent come of age with a single, substantial, performance. Reynolds owns this film, because it lives or dies with his performance – he’s the only actor on the screen throughout the entire thing, and while most studios might balk at having such a singular premise potentially undermined by an actor normally associated with lame romantic comedies or slapstick-schtick and “adult comedies”, Reynolds up’s his A-game and, as they say in the classics, “brings it”. 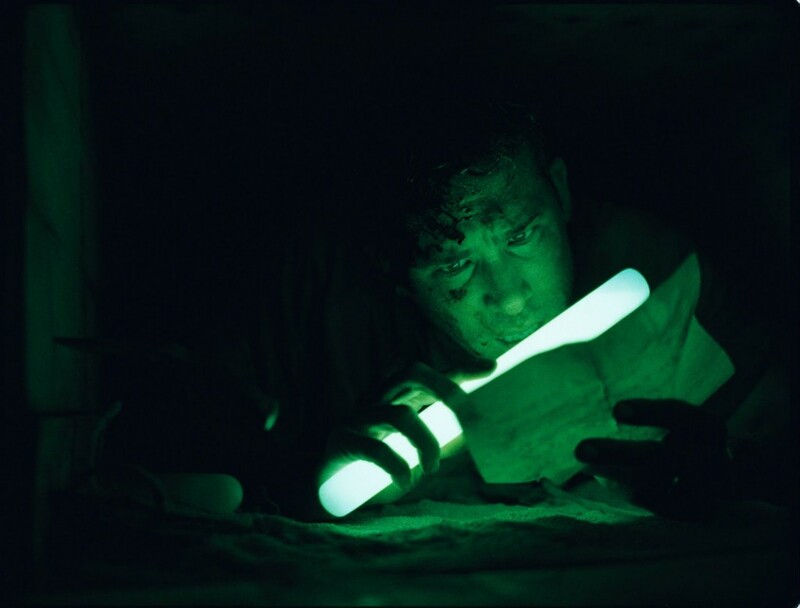 His portrayal of Paul Conroy, confined to a wooden box for the entire duration, is both soul-destroying and gut-churning in both intensity and fragility; you can see Conroy’s rage, frustration, anxiety and hope come and go throughout the tightly directed narrative, and Ryan Reynolds delivers the goods. Initial exploration and discovery of his situation, gives way to anger at being put in this situation, which then leads to resentment and bargaining, before acceptance and hope hold sway in the final moments – Reynolds never struck me as an actor capable of delivering such a truthful, meaningful character; I am pleased to say that that belief is now altered forever. ….if you can read this, you have been kidnapped by people who like green glo-sticks…. While a film like Buried would be nothing without a great actor producing a once-in-a-lifetime performance, that actor would himself be nothing without a terrific script and a director capable of delivering the required tension on-screen. Chris Sparling’s taut, spartan script manages to ratchet up the tension with each passing second, as Conroy’s calls to family, friends and government agencies all meet with varying degrees of success: all the while maintaining the aspect that air, battery power, and time are running low, and our leading man is put through the wringer both physically and emotionally. Sparling doesn’t make things clear from the outset – as Conroy makes discoveries, so do we along with him, and often, we gleam tidbits of information and character development through Conroy’s conversations with those on the other end of the phone. It must have been difficult for Sparling not to deviate from the “inside the coffin” conceit, but he handles the story beats with aplomb, and delivers a riveting narrative through only the use of a single character and dialogue with unseen others. Director Rodrigo Cortés, who made a name for himself in his home country of Spain with his first feature film The Contestant (Concursante in Spanish), is a man with whose work I am unfamiliar, although I do look forward to more of his stuff gracing our screens in the near future – his keen eye for detail and pacing elevate this from a simple one-shot-single-set film into the most epic one-man-play ever filmed. Cody’s course in self-hypnosis was no help to him now…. Cortés ekes every nuance of tension from the script, with an almost Zemeckis-esque camera style and a pitch-perfect editing style: he makes the most innocent phone call seem so predatory and life-defining, and ensures that for the entire film, we’re stuck right there with Reynolds the whole time. 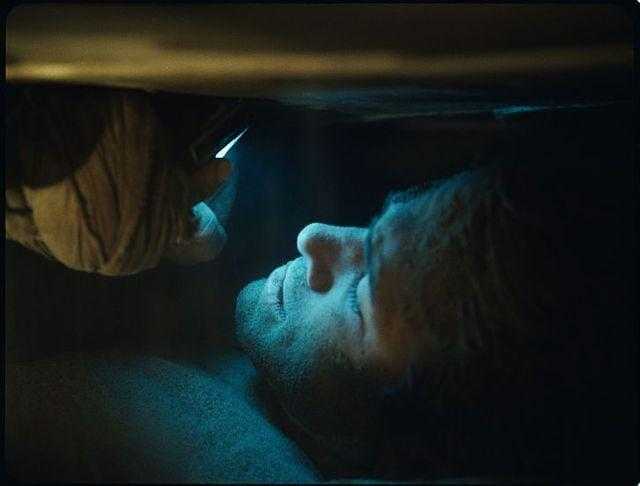 The camera pans and tracks around Reynolds in the coffin, and while obvious trickery was used to allow some of the shots and framing to occur, it never feels overly stylized (unlike many of Robert Zemeckis’ later live-action films – What Lies Beneath, I am looking at you!) or look-at-me clever. The use of the natural lighting, be it from torch, flame or phone screen, is superbly rendered, casting most of the film frame into an oblivion of darkness much of the time; a depressive, oppressive visual cue that makes us search out any light to focus on – it draws our eyes to the action, and absolutely makes us keenly aware of just how little room there is inside that box. It’s this lack of external sensations for us as viewers, the lack of information much like Conroy that causes the viewer the angst and consternation at his plight – had this film cut between those on the phone with Paul, and Paul himself, the impact of the film could have been lessened, perhaps. I guess that’s an argument for another day, because Buried is the film it is for a reason, and if something works this well, who am I to second guess it? Damn cell reception was crappy in these parts…. Going into more detail about Buried will just ruin the storytelling anticipation for those who haven’t seen it by now, and I’ve done my best already to avoid spoiling the film as much as I have. To say more, or to give a more robust criticism of Buried would invite a more detailed analysis of the films specific plot points, plot points I’m loathe to reveal in light of the structure and gradually elevating tension-narrative of the film. Yes, the film does have one or two logical leaps, most of which are pretty harmless (although one, involving an animal, did make me go “after all that?”…) but there’s no discernible drawback to much of what goes on on-screen. Buried is a genuinely star-making vehicle for Reyonlds (who’s due to appear in the soon-to-be-released big screen adaptation of Green Lantern) as well as being a classy, exciting, moving, suspense thriller which – as far as I was concerned – came out of nowhere and took me by surprise. I’d heard whispers of its greatness, but I’d still had trepidation with Reynolds as the leading man. In this film, he’s expunged all the bad words I’d said of him up ’til now, and I hope only bigger and better things come for him. Both he and us deserve it. Buried is an absolute ripper. © 2011 – 2014, Rodney Twelftree. All rights reserved. I saw this at the cinemas after it was recommended by a former work colleague (she said she cried at the end…), and I was astounded. This is brilliant. The fact is that Reynolds can proudly hold his own against many of the more brooding A-listers often cast for these serious "impact" roles, if not all of them, with his performance. You ride the emotional rollercoaster with him all the way to the very end, and, seriously, you do feel deeply for the guy. The bit that really got me was the song that was played over the ending credits. I had a chuckle when it started playing. Dear readers: Considering Greg's appreciation of film is perhaps even greater than mine, I'd be listening to what he has to say. He says this film is brilliant. I'm not going to argue. Wow. I seem to remember reading a mixture of good and bad reviews for this film. 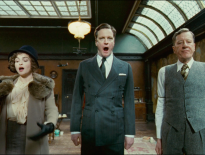 However, after this, I've got to see it asap. To be honest, since seeing the trailer, I wanted to see the film as I do enjoy single location films. This looks just the ticket. Lights off, sound up, she's a beaut! Glad you loved this Rodney! I was extremely impressed by the script but the movie was slightly below my (high) expectations. I think the concept is pushed to its limit for a feature film and it would have worked better as a 60-minute film (made for TV maybe). Ryan Reynolds is surprisingly good in this though and the movie holds your attention extremely well given the completely stationary location. What really carries this film is the amazing performance from Ryan Reynolds who proves he's not just another good-looking actor and has more of a dramatic depth to him even while he's playing a dude in a box for 95 minutes. Good Review Rodney! @Castor – I'd be a little reluctant to see this as a Made-for-TV special, especially if there were commercial breaks. Breaking up the flow of the story, the slowly ratcheting tension and the frenzied panic Reynolds portrayed, would be counterproductive to the story, I think. Care to elaborate on how this film was below your expectations? Was it Reynolds' performance, or just the concept itself? Such an awesome film. The group I was with didn't like it, but I was floored by Reynold's performance. I guess you could call it a performance "out of the box"? No, Reynolds is very good. I think the concept is too thin to make a full feature film. It's very hard to a viewer's attention when the location remains the same throughout the entire movie and I was impressed by how much Cortes was able to do so for most of the movie. I'm looking forward to this one. Loved "127 Hours" so it should be relatively reminiscent of this. Reynolds is a good actor, hopefully this breaks him out. Well, if this broke him out, Green Lantern probably put him back in…. And if Green Lantern didn't then Change-Up definitely did.